Consumers today expect brands to embrace social good as an intrinsic part of their company—not just an afterthought. We created this infographic to show brands why crafting content to showcase the good they’re doing is a good move for marketing. Sadly, debt is a common trend across America. However, some states are more in debt than others. 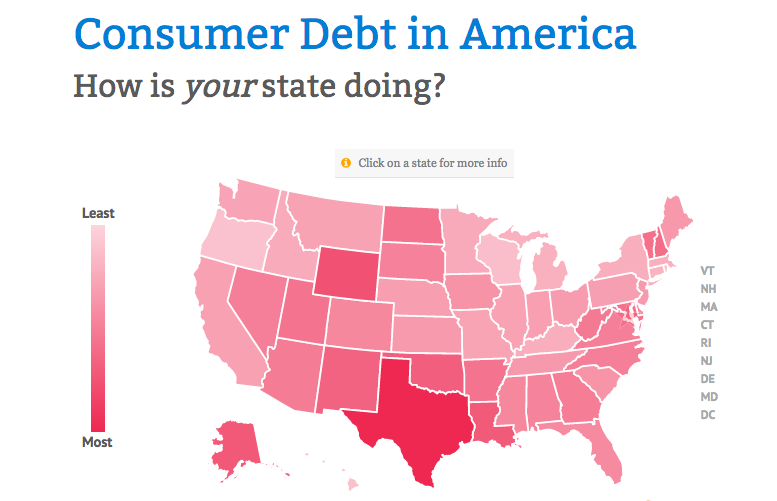 We partnered with Debt Consolidation to create this interactive, which allows you to explore the level—and type—of debt Americans are carrying around the country. Sure, we all learned about the founding fathers in school, but you might not remember who did what. Want to know more? Check out this infographic we created with History.com to get a refresher on the sons of liberty. It’s back to school for marketers with this infographic, created in partnership with Marketo. Learn about the 3 Rs of content marketing to make sure you ace your content strategy. Technology makes it easier than ever to provide stellar customer service to your consumers, which is why chat has become a vital and desired method of communication. Check out this infographic, created with Zendesk, to learn more about why customers want to chat.